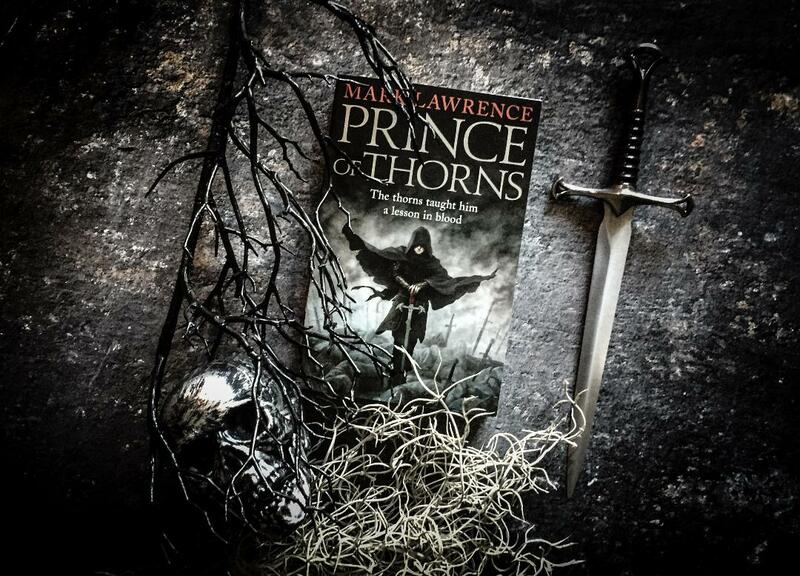 Comment under this post naming five of your favourite fantasy reads this year, regardless of when they were published, to win a signed (and/or dedicated) Emperor of Thorns trade paperback or The Liar’s Key US hardback. The winner will be randomly selected by Mark from the entries. You may add a few lines telling us what made those books special for you, but you don’t have to. Also while it’s always nice to see Mark Lawrence titles among your favourites, including any or not won’t affect your chances of winning. The giveaway will be closing on 19th December! Please note: your email address will be required for the submission but will NOT appear on the website! This giveaway is now closed, many thanks to everyone who took the time to enter! Mark has selected a random winner, who is Tracy Erickson. Congratulations! My Top 5 reads this year in no particular order…. Evil is a matter of perspective. 1. Dangerous Ways by R.R. Virdi—I have been an avid fan of this author ever since I picked up his first book. In fact, reading his stuff kind of introduced me to shows like SUPERNATURAL and Jim Butcher’s Dresden Files—but I always like Virdi’s books best. 2. I’m Still Alive by Kelly Blanchard. The 3rd book in the Chronicles Of Lorrek is utterly fantastic. It’s a perfect blend of sci-fi and high fantasy, magic and technology, and I super enjoyed this newest installment!! 3. The Cry of The Firebird by Amy Kuivalainen. New indie author to love!! This urban Fantasy draws on the mythology from the Netherlands and it is GORGEOUS!! 4. Grave Dealings by R.R. Virdi. Repeat author, different series! This is a fantastic series, The Grave Reports, centered on Vince Graves, a post-dead soul regularly “assigned” to the bodies of the recently-deceased due to supernatural causes. This third book was BRUTAL to the characters, but so much development happened that I absolutely loved it!! 5. Red Sister by Mark Lawrence. Loved the development, and the story arc built very well! I loved the diversity of the characters and the four “bloods” provided intriguing concepts to read and explore! Fantastically done! Godblind by Anna Stevens a fast paced and frenetic debut. Red Sister by Mark Lawrence fantastic characters and world building as ever. Faithless by Graham Austin King for being a surprisingly excellent self pub. Three Times the Trouble G.R Mathews for submarine noir meets kung fu. The Furthest Station by Ben Aaronovitch for letting the ghosts out the bottles. This is actually more difficult than I thought it would be… I read a lot this year. The Core – Peter V. Brett. What a fantastic concept. It is a gripping tale that masterfully uses what I call recursive flashbacks to completely change your understanding of a character throughout the series, I did so many 180s that I got dizzy, but the story just wont let you go because you care so much about the characters. The Blood Mirror – Brent Weeks. I have a fever, and the only prescription is more Lightbringer. Brent is crafting some of the most enjoyable fantasy out there today. I don’t even know where to start. Everything Max writes is solid gold. He has full control of his voice and has crafted one of the most original settings in modern fantasy. Give him some time and you’ll be looking back at one of the greats. He is so good I want to give up writing. Now I’m going to cheat a little bit. I read this on a lark, I was absolutely floored by it. I didn’t expect what I got, which was an awesome story. The characters, the settings, the scope… this is “It is 4am, may as well keep reading” material. Fantastic! The Strain trilogy – Guillermo del Toro and Chuck Hogan. I really wasn’t expecting much. The only reason I read the series was because the promos on television got my attention one day. I’m glad they did. This series is right in my wheelhouse. The subversion of myth in the series is masterfully done and the modern take on vampires is wonderfully executed. I’m a scholar of religion, so this one tickled me in all the right spots. The books are so fantastic I’m actually watching the series. It takes a lot to get me away from a keyboard to watch something on a television screen. This did that. The books were better though. Oh, I read every short story Harlan Ellison ever wrote too. It feels like reading my own stuff. I think that is a good sign. “Seeing” is a short story everyone should read, it is a masterpiece. 1. A War in Crimson Embers: The Crimson Empire, Book 3 (by Marshall, a pseudonym for Jesse Bullington, finished up his jump into the Abercrombie/Lawrence Grim Dark, and it is awesome). Red Sister – the esteemed gentleman behind this contest. if you have a chance to listen to the audiobook i suggest you do so. heather o’neil does a fantastic job of bringing the written word to life. sins of empire – brian mcclellan. i enjoyed the first foray into the powder mage universe and the return did not disappoint. words of radiance – brandon sanderson. his work is hit or miss for me, but so far i’ve been enjoying the storm light archive. blood song – anthony ryan. it’s the best book of the trilogy. Three of these have 2-3 entries.